Greenscape Lawn & Landscape – We make sure the grass in greener on your side of the fence! 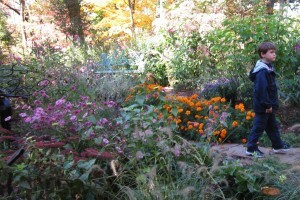 The Christopher Farm and Garden is a one of a kind private garden located in Sheboygan County. The owner, Jay Christopher, began his vision to construct a botanical garden in 1997 when he purchased a Lake Michigan shoreline farm. Over the years his property has grown to over 400 acres devoted to his vision of the promotion of a sanctuary for plants, trees and animals. Greenscape’s involvement in the project began in 1999 and construction and maintenance have been on-going. It has been a privilege to provide the hardscape for Bookworm Gardens, a public children’s garden located on the University of Wisconsin, Sheboygan campus. The development, planting and maintenance has been provided by an energetic and creative team of community volunteers and Bookworm staff and it has been fascinating to watch the gardens evolve over the past few years. 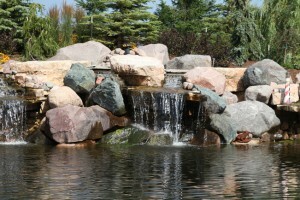 Greenscape construction includes the Amphitheater, patios, walks, pond, streams, pond-less waterfall, the raised garden beds and additional stone and brick work. 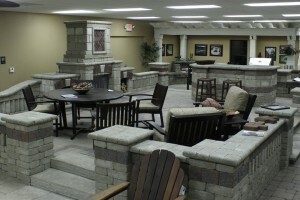 Appointments are recommended, but visitors are always welcome in our showroom, located at 4218 Industrial Court, Sheboygan. We look forward to helping you make your property more accessible and visually appealing.